Joint-Stock Company «Nefteproduct» has been based in March, 2000 and during the work has confidently entered into number of oil firms which are official partners in manufacture and advancement of high-quality production from the best manufacturers. 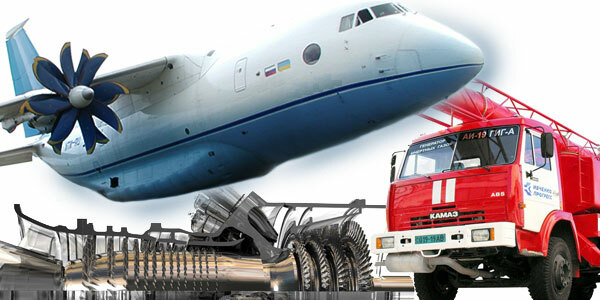 We can be proud of the business reputation in the organisation of deliveries of special oils and greasings for the enterprises of strategic branches of economy of Russia and foreign partners. We work under the motto: «Reliability and quality». Carrying out flexible price to the policy, we offer the personal approach to each order, full assortment of special lubricants, optimum conditions of delivery, the minimum terms in any point of the world. Effective production is based on the appropriate strategy in operation of equipment and machinery. Outcome of production facility business relies on POL system. In view of the above, selection of POL vendor, which would meet demand for oils, greases and lubricants and carry out his obligation is very important. By such vendor is meant Nefteproduct JSC. Nefteproduct JSC acquired fine reputation cooperating with KAMAZ JSC, Chkalov NAPO JSC, divisions of RZD JSC and more. Today Nefteproduct JSC provides POL for more than 600 major production facilities in iron-and-steel, mechanical engineering and aviation industries. Geographically supplies cover Russia, CIS, Europe, and Asia. clear and fixed terms and time of delivery. The company has its own storage facilities and exercises regular quality control. The staff comprises qualified people regularly improving their skills. The company has a wide assortment of products and streamlined logistics system. Therefore the company complies with quality requirements of ISO 9000 Standard. Our mission is to create a new international standard of providing quality services for pro-duction facilities. We have a faith in cooperation with customers, painstaking and smooth supply to enter-prises and organizations. Only due to integration with partners and expansion of their business we are likely to make progress. - clear and fixed terms and time of delivery.